Every homeowner wants a clean kitchen. And nowadays, most of them want a de-cluttered one too. It’s all part of the minimalist trend. Minimalist kitchens feature furniture that blends into the background, promoting an uncluttered look and giving you a calm and serene atmosphere that’s perfect for cooking. For those who are fully committed to following the minimalist trend, push latch cabinets are your best option. They seamlessly blend into your kitchen to the point that they’re invisible. If you want to open a push latch cabinet, all you have to do is press it. For those who like the aesthetics of a minimalist kitchen but prefer to keep small traces of the conventional look, a cabinet with integrated handles offers flexibility with the kitchen theme. Like the push-latch cabinets, these also blend into the background, with the exception of the handle. Depending on the material and finish of the handle, it can accentuate your kitchen’s color scheme. For those who are into the minimalist look but aren’t looking to commit fully to the aesthetic, hidden-pull below-counter cabinets are a safe bet. The edge pulls slightly protrude from the cabinet and are barely noticeable. This is the most noticeable of the three options, but it’s still well within the minimalist area. And if you’re considering renovating your kitchen into a minimalist one, why not do a complete home renovation as well? A minimalist kitchen in a house filled with clutter might seem out of place. Hidden kitchen cabinets are just the start. If you’re fully committed to going full-on minimalist, look into hiding the entire kitchen behind a cabinet. There are designs like this that might appeal to you. You can go beyond the kitchen; you could do bathroom cabinet renovations, install hidden cabinets there, and get a minimalist bathroom as well. 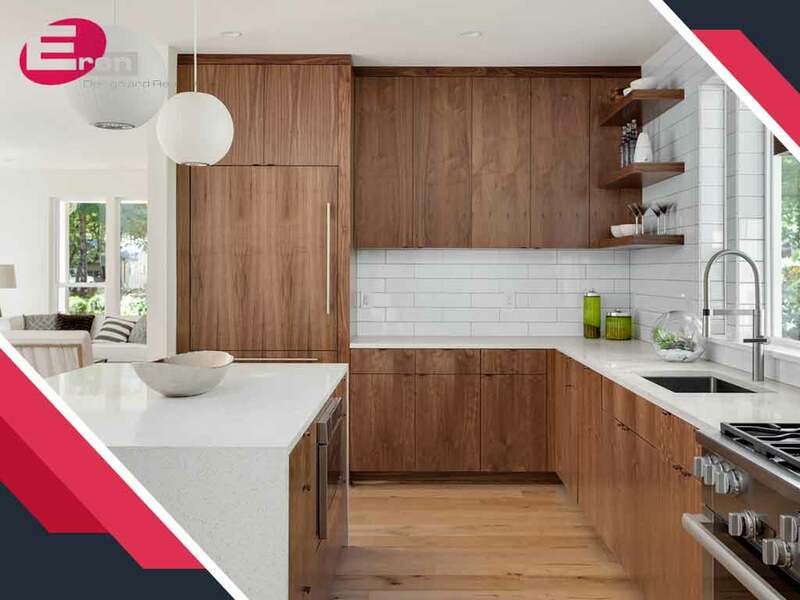 If you’re thinking of taking the minimalist theme to the next level, set up an appointment with Eren Design and Remodeling by filling out this form. Or you can call us at (520) 885-2500. We serve residents of Catalina Foothills, AZ.